Gwendoline Mary Hopton R.M.S. 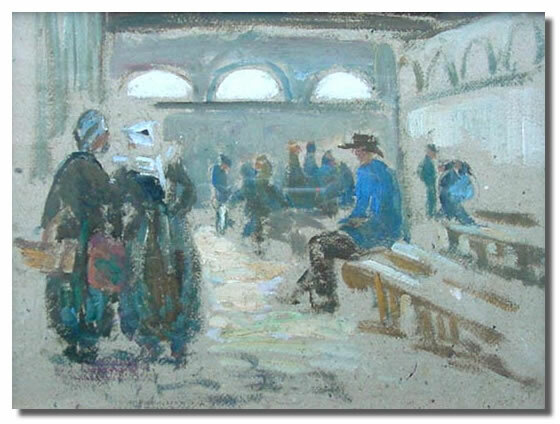 1866 - 1913 - Oil Painting A Breton Market. Gwendoline Mary Hopton exhibited 1897 - 1913. Painter and miniaturist elected to the Royal Miniature Society in 1897. Her home address is listed as Kemerton Upper Court, Near Tewksbury, Gloucester in 1897 and 1900, also London in 1899. 9 @ Royal Miniature Society, 5 @ Royal Society of Oil Painters, 71 @ Walker Gallery, Liverpool.